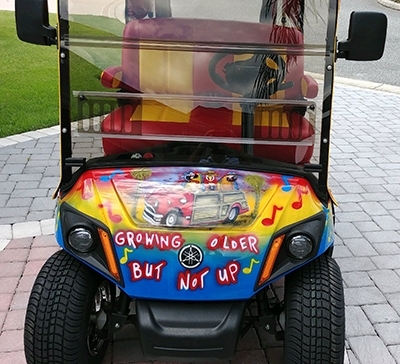 Golf cart painting in central Florida is what I do to fill in the slow season with race helmet design and painting. 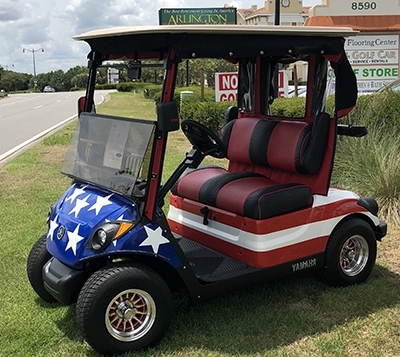 Golf carts are very common here in central Florida in all the retirement communities like the Villages, Top of the World, etc. 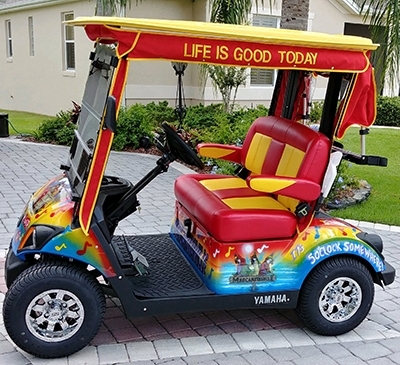 There is no limit to what I can add to your golf cart, if I can see it I can paint it. Provide me with good reference pictures and I will get you as close as possible on your golf cart. 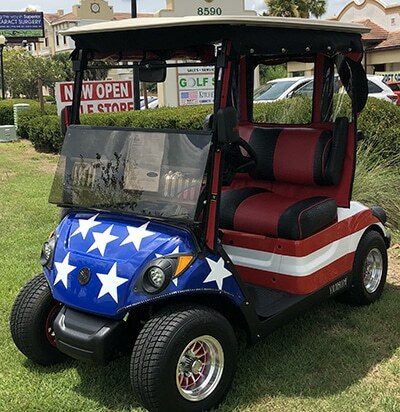 From Jimmy Buffet, golf course favorite holes, Florida nature, beach, birds, American flag, eagles are all subjects I have painted on golf carts for clients. Don’t like thecolor of yourcart or want ita special color I also do repaints of base colors. Contact me today by calling or texting 1-352-361-3403 today!